Profiles > Shira Lazar - eGuiders. We Search. You Watch. A native of Montreal, Shira made her name on TV as host of the weekly lifestyle magazine show 1st Look and Open House on NBC, and as a correspondent on Reelz Channel's daily movie news show Dailies. As a crossover personality and hybrid journalist, Shira continues to bridge the gap between old and new media. I'll admit, I'm obssessed with Twitter. But you know what? I'm not alone! 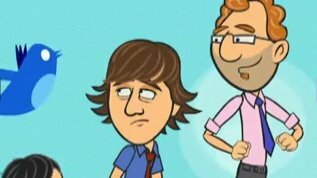 This animated video takes a stab at the crazy twitter phenomenon and all us twitterholics involved. Whether you are a twitter lover or hater, this video will definitely make you laugh.